It was never in doubt was it? (Okay, maybe at 15-30 against Ferrer). Rafa was going to take his fifth title of the year in seven tries (two finals) since his injury time-out. The king of clay was simply too good against a slightly nervous or tired Stan “the Man” Wavrinka today in the Madrid Open final and rolled over the Swiss by 6-2 6-4. Going into Rome and then Roland Garros, it’s hard to see who’s going to challenge Rafa with the form he’s in. Federer? The only one who is even remotely close to his clay court game level is Djokovic. Federer and Murray have looked rather unimpressive and Ferrer won’t beat Rafa on clay in five. 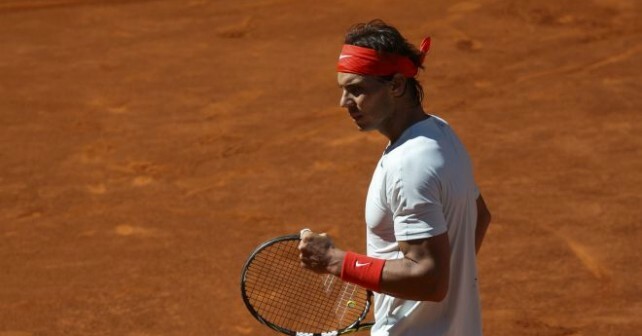 So in the end it will be a question of: Can Djokovic stop Rafa on the red dirt? The Tennisnerd answer is NO, but the great thing about tennis is that you never know. Congratulations Rafa and good luck in your upcoming tournaments (you might not need it).